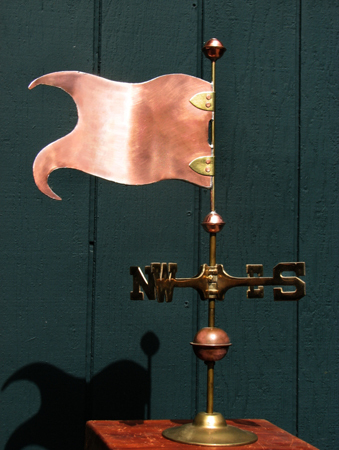 This Decorative Banner Weather Vane #1 has a simple flowing style. 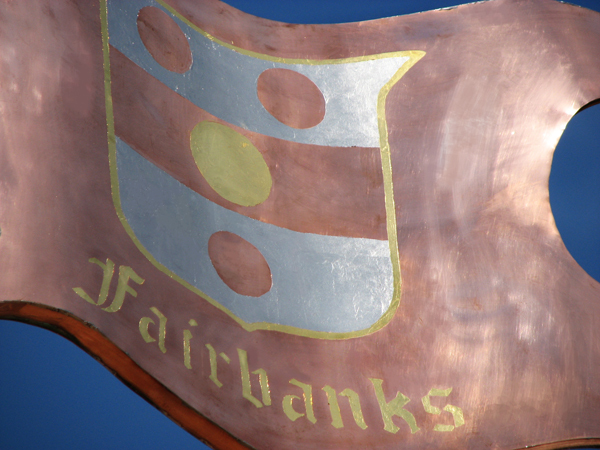 It looks lovely with its plain copper field, but also lends itself to the addition of a decorative design or corporate logo which can be created using optional gold or palladium leaf. 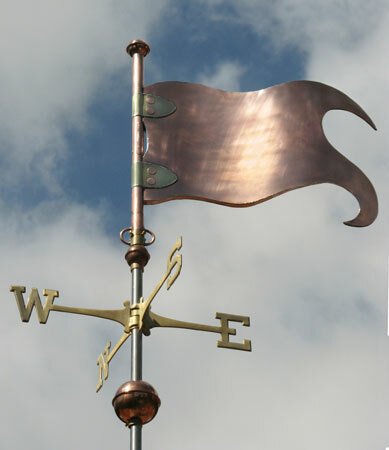 This banner weathervane was crafted in copper with brass straps. 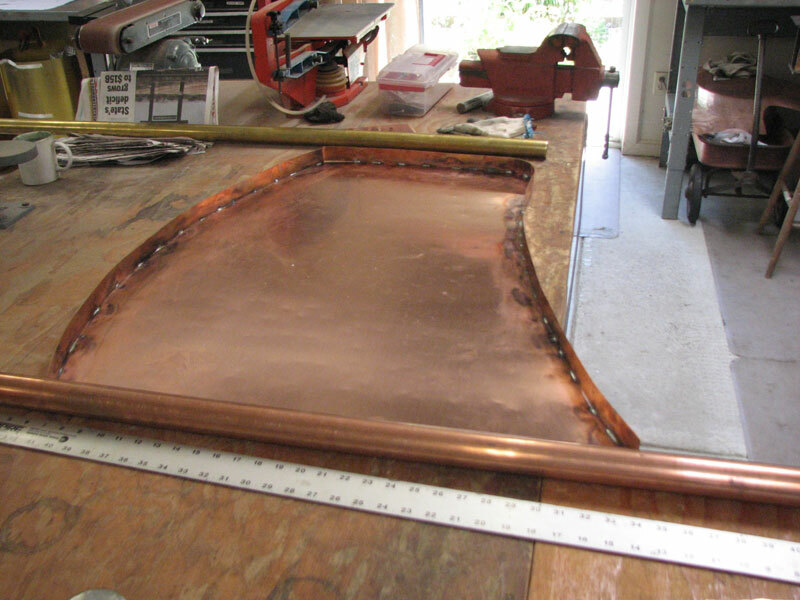 It can also be made in all copper. 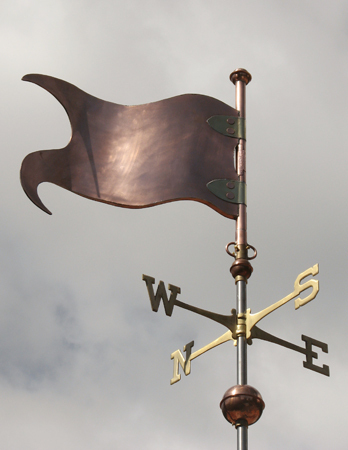 For strength this weather vane is of box style construction. Because all the surface area is to one side of the pivot point in this design, the boxed construction of the banner and the addition of the two “straps” makes it quite a bit stronger, especially in the large and extra-large sizes. 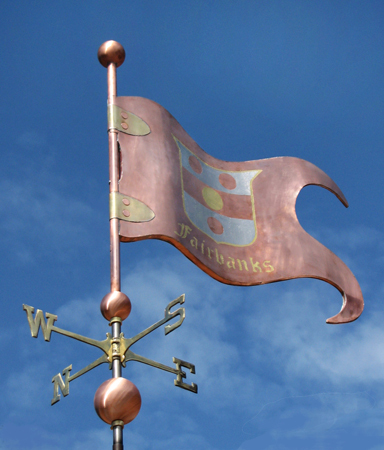 We recently personalized this weather vane by taking different elements of a customer’s elaborate coat of arms and splitting them up so some appear on each side of the banner’s surface. We did this intentionally, rendering individual elements from the coat of arms large enough to be clearly visible from the ground. We then applied optional gold leaf and palladium leaf to denote the different features of the design. Once the copper starts to naturally darken, the gold and palladium leaf will become increasingly prominent, to beautiful effect. 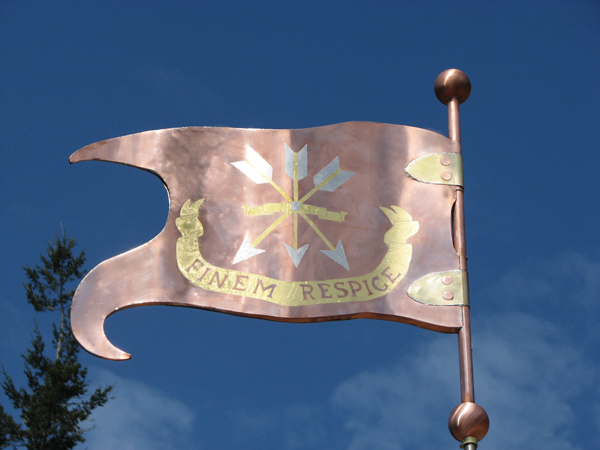 Please contact us if you are interested in personalizing this banner with your coat of arms or business logo, etc. We would be happy to work with you to make this happen. It is beautiful and we love watching the winds shift as we pull down our driveway. Thanks.